Harris Wang is an Assistant Professor in the Department of Systems Biology and Department of Pathology and Cell Biology at Columbia University Medical Center. He holds degrees from MIT (double B.S. in Physics & Math) and Harvard (Ph.D. in Biophysics & Medical Engineering Medical Physics). Dr. Wang's numerous accolades include PECASE, Schaefer Scholar, BWF PATH Investigator, ONR Young Investigator, Sloan Research Fellowship, NSF CAREER, NIH Early Independence Award, Wyss Tech. Dev. Fellowship, NDSEGF, NSF GRF, Collegiate Inventors Competition Winner and Forbes 30 Under 30 in Science. Tiffany is a staff scientist in the lab. She received her PhD in Biomedical Sciences from New York University. Andrew is a staff scientist in the lab. He received his PhD in Molecular Biology from Cornell University. Lucas is a research technician in the lab. He received his BS in Biology from Northeastern University. Hsing is a postdoctoral fellow in the lab. He received his PhD in Molecular and Human Genetics from Baylor College of Medicine. Carlotta is a postdoctoral fellow in the lab. She received his PhD in Metabolic and Genetic Engineering from Denmark Technical University. Christian is a postdoctoral fellow in the lab. He received his PhD in Systems Biology from Denmark Technical University. Sung is a postdoctoral fellow in the lab. He received his PhD in Chemical and Biomolecular Engineering from Korea Advanced Institute of Science and Technology (KAIST). Liyuan is a postdoctoral fellow in the lab. He received his PhD in Genetics from the Kunming Institute of Zoology at the Chinese Academy of Sciences,. Nathan is a newly minted PhD from the Wang lab. He received his B.S. from Michigan State University. Tom is a PhD student in the Integrated Program in Cellular, Molecular, and Biomedical Studies. He received his B.S. from University of Toronto. Jimin is a PhD student in the Integrated Program in Cellular, Molecular, and Biomedical Studies doctoral program. He received his B.S. from University of California Berkeley. Ravi is a PhD student in the Integrated Program in Cellular, Molecular, and Biomedical Studies Program. He received his B.S. from Rice University. Frank is a PhD student in the Nutritional and Metabolic Biology Program and a joint DO student at Midwestern University. He received his B.S. from Southern Methodist University and M.S. from Johns Hopkins. Ross is a PhD student in the Biological Sciences Program. He received his B.S. from University of Texas, Austin. Florencia is a PhD student in the Integrated Program in Cellular, Molecular, and Biomedical Studies Program. She received her B.S. in Physics from Ohio State University. Miles is a PhD student in the Integrated Program in Cellular, Molecular, and Biomedical Studies Program. He received his B.A. in Biology and Music from University of Chicago. 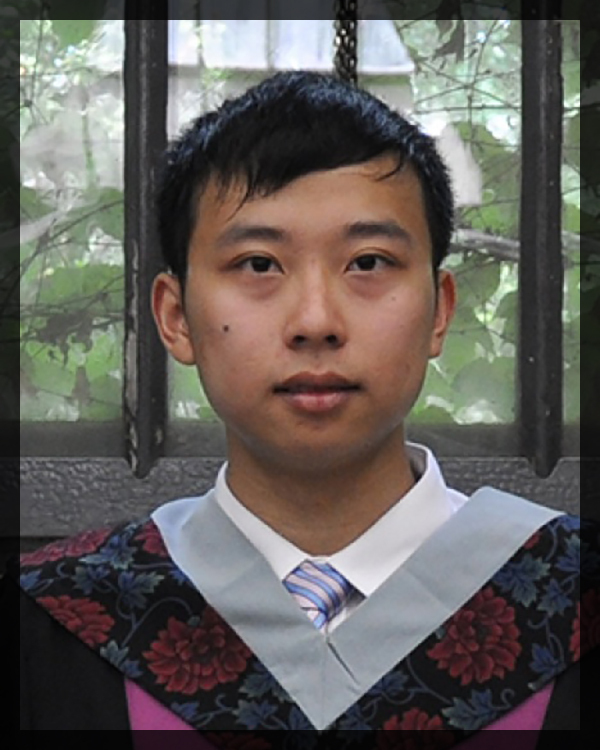 Yiming is a PhD student in the Integrated Program in Cellular, Molecular, and Biomedical Studies Program. He received his B.S. in Biological Sciences from Tsinghua University. Deirdre is a MD-PhD student at Columbia University Medical Center. She received her B.A. in Molecular Biology a from Princeton University. Izaak is a PhD student in the Integrated Program in Cellular, Molecular, and Biomedical Studies Program. He received his B.S. in Biology and M.S. in Computer Science from Imperial College London. Tyler is a PhD student in the Biological Sciences Program. He received his B.S. in Biological Sciences from University of California Santa Barbara. Chrystal is a PhD student in the Genetics Program. She received her B.S. in Behavioral Neuroscience from Northeastern University. Jenny is an undergraduate Biology major at Columbia University. Tarun is an undergraduate Biomedical Engineering major at Columbia University. Theo is an understudy in the lab and a regular contributor of microbiome samples. His aspirations include mastering linguistics, mathematics, and making the Forbes' 5 Under 5 list.